“The fog hasn’t cleared,” I said, looking out the window through the clouds in my head.” (Cool, that rhymes!) After coffee. Ugh, new deadline. I thought I still had two days left to procrastinate. But that was not to be. The notification bell emanating from my iPhone came with a message; the article must be turned in this morning. 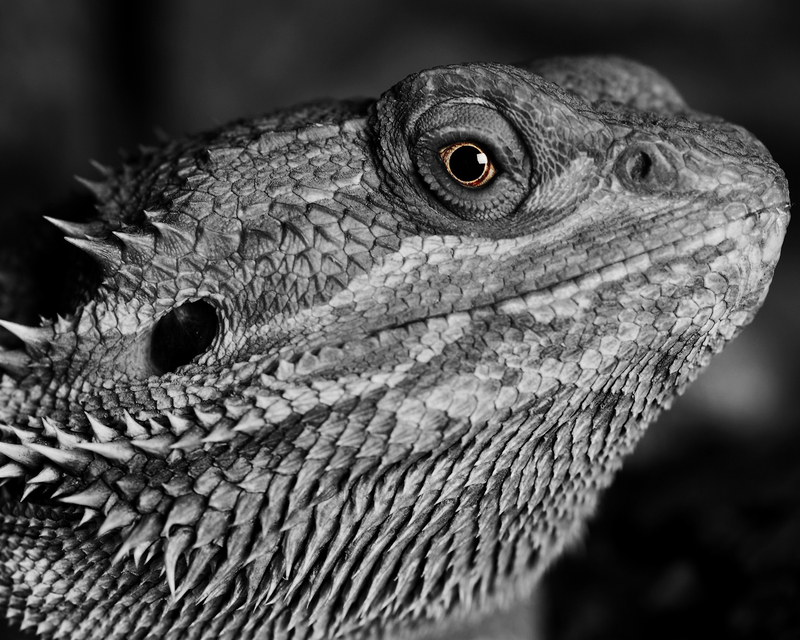 I glanced at Tig, our citrus bearded dragon, whose head was cocked sideways watching my every move with curious eyes. His actual name is Reptiligus B. Dragon, but we call him Tig for short. He belongs to my son and I’ve been drafted into lizard-sitting duty. He is perched on my shoulder helping me pontificate on the idea of goal-setting. 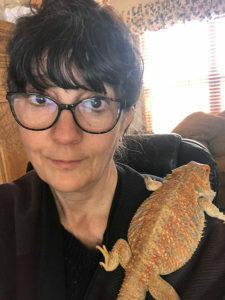 When my son drove 1,400 miles to visit (in someone else’s vehicle) he didn’t consider being told at the airport for his flight home that no, his lizard could not board the airplane with him. I sat down to write this guest post (after much coffee), and just as the last wisp of fog evaporated and ideas began to trickle from my brain, down my arms, to the computer keyboard… the power went out. There had been a winter advisory that wind chill would bring the temperature down to bone-chilling, creativity-killing, and electricity-stilling levels. My goals—whatever they might have been in a perfect world—became as elusive as finding an eligible bachelor in a monastery. Oh wait. They do that now. Get married and all. If you’re a Buddhist monk, that is. But I digress. Took bearded dragon for a walk. Exercised (bent over to tie shoes). Put checkmarks beside each item. It’s amazing what this does for your self-esteem. Fed the kids? Write it down, check it off. Fed the dog? Write it down, check it off. Paid the bills? (Crap! That reminds me…) Look at the completed list. See how much you accomplished? It’ll bring a smile to your face. No fuss, no muss. No agonizing over trying to come up with S.M.A.R.T. goals (Specific, Measurable, Attainable, Relevant, Timely). How about N.O.N. goals? Naïve, Only Nicer. This is a method I have successfully used for decades. It’s called the No-Goal Method of Living Without Guilt and Accomplishing More Than Ever. You’ll love it. Trust me. Tig has probably never set a goal in his simple reptilian life, and yet he’s completely satisfied and at peace. I can see it in his eyes. And he doesn’t feel guilty. Be like Tig. Don’t set goals. Enjoy your life. Thanks Val! Yeah, I was reluctant to hold the creature, but figured he would be okay on my shoulder while I wrote. Was hoping he wouldn’t bite my ear or poop on my neck. And he didn’t! Yay! Interesting take on goals and who hasn’t felt the guilt. I like to set targets without dates an reward myself when hit. I like that idea; targets without dates… They’re kind of like moving targets, only stiller.